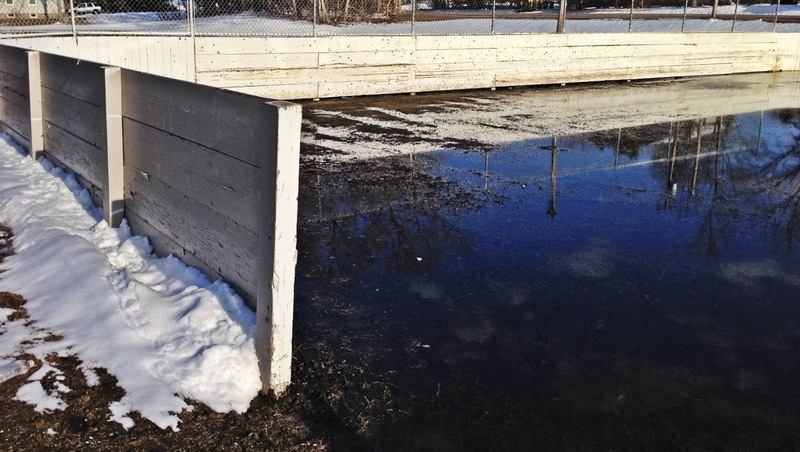 The outdoor hockey rinks have melted into pools of mud. Spring is in the air on day 113 of Photo 365. This entry was posted in Photography and tagged Hockey Rink, Photo 365, Saint Paul. Bookmark the permalink. We tried an outdoor rink a couple years ago – that ONE mild MN winter we had. It didn’t work so well. If we’d have know this last winter was going to last six months, we would have tried again. Cool pic.